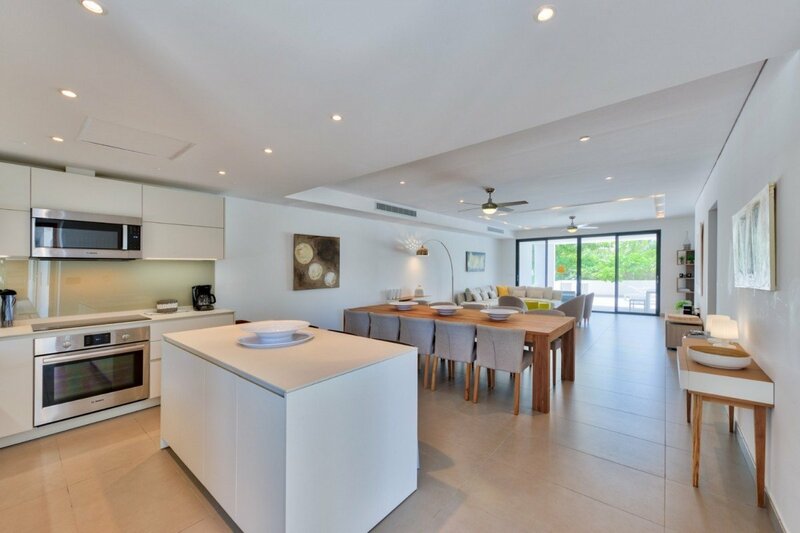 Apartment Coco Fair, St Maarten. 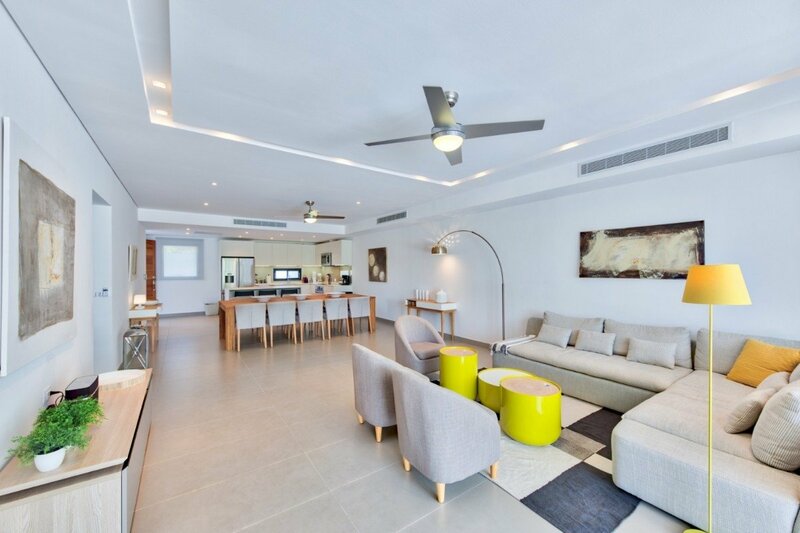 Don’t let the term “apartment” make you shy away from a stay at the impressive and appealing Villa Coco Fair. 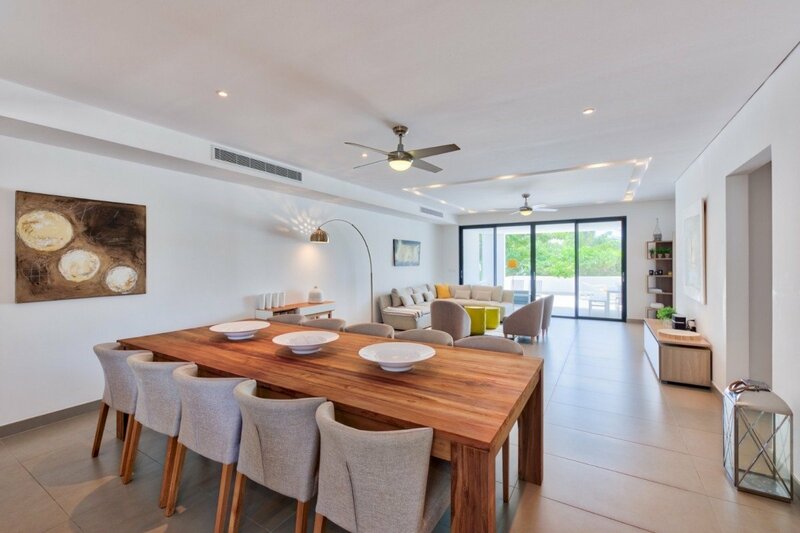 An apartment-styled property, it offers an unmatchable location ideal for a business traveler, solo vacationer, family on holiday, or group of friends eager to explore the many delights of St. Martin. Situated only a few short steps from gorgeous Simpson Bay Beach on the island’s southwestern shore, it offers easy access to the amazing shopping, dining and nightlife of Maho, and yet is perfect for those who want to savor the natural beauty of the island, too. 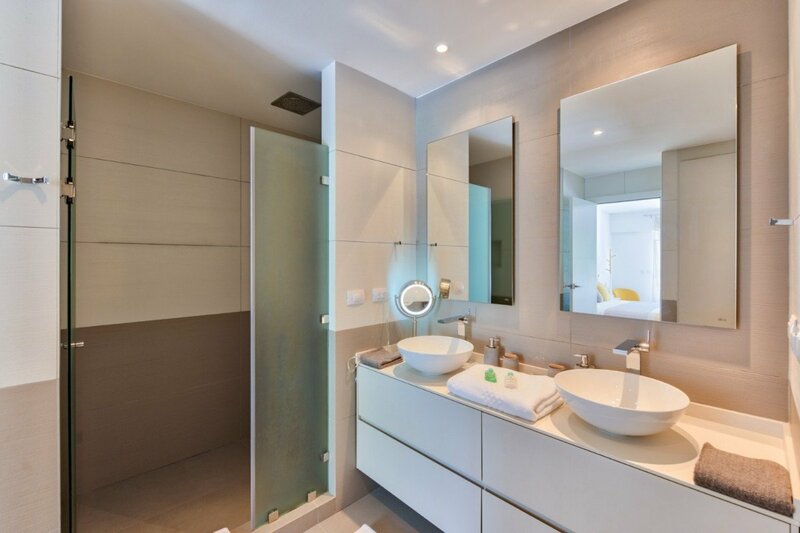 Not only is the property in an ideal location, but it comes with a nice array of amenities to enjoy throughout your stay, too. These include the stunning, rooftop terrace with equally stunning infinity edge pool that gazes out to the mountains and the bay below. There is also a fitness center to enjoy whenever you’d like. 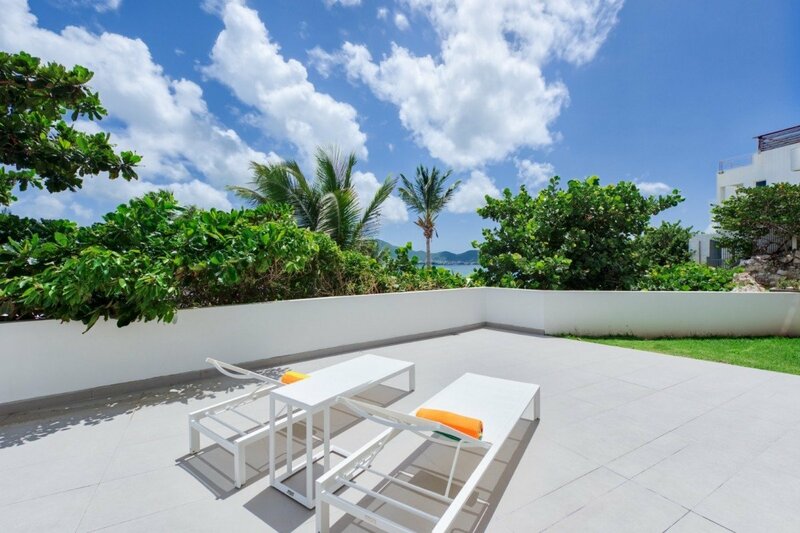 And not all of the outdoor spaces are shared, because this property is also equipped with an enormous, private terrace. Furnished with an outdoor lounge and oversized, al fresco dining area, it also opens to its own sun deck and adorable little lawn. 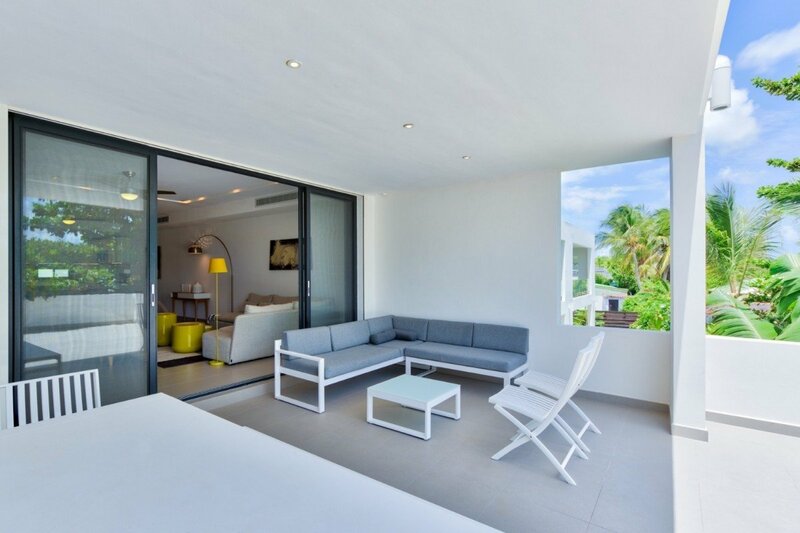 Watch the palms sway in the breeze from the immense comfort of that spacious, private terrace. Step in through the oversized doors and savor the beautiful décor and design of the great room. 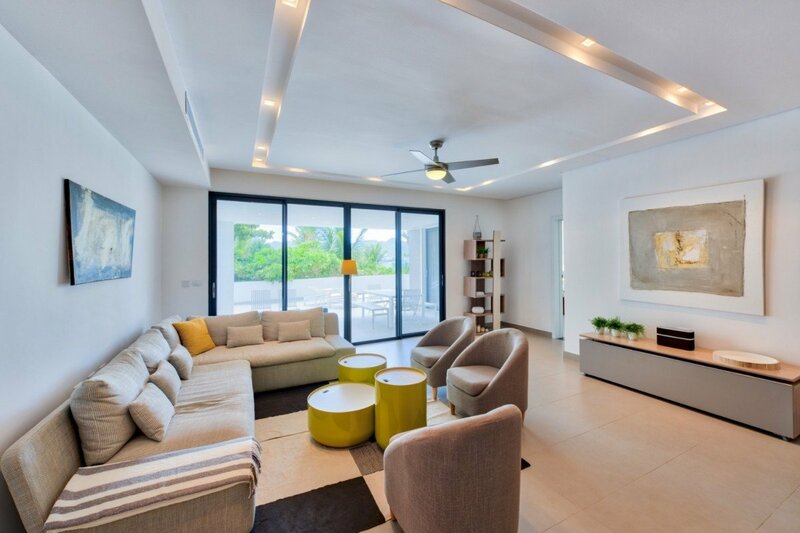 With a large banquette sofa and cozy seating, it is decorated in a contemporary style that captures the airiness of the sea-side setting and the wonderful light just outside. 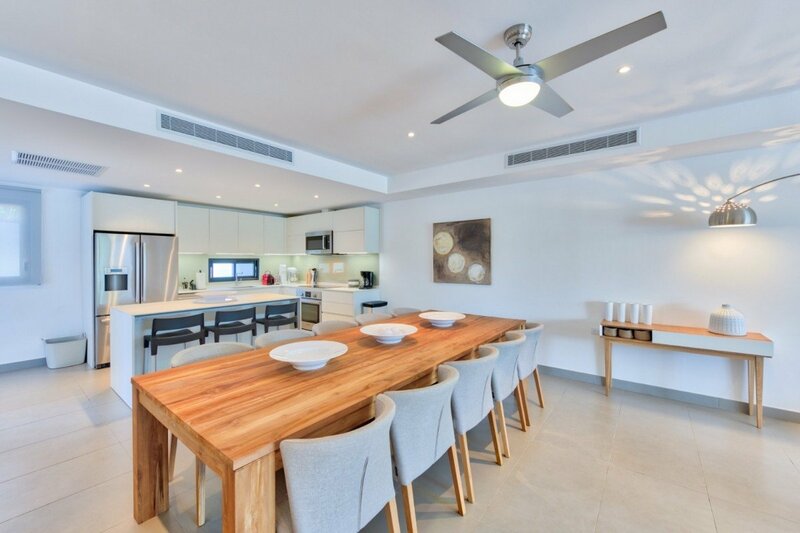 The great room also features a stylish, modern dining room and the impressively equipped, open air kitchen. 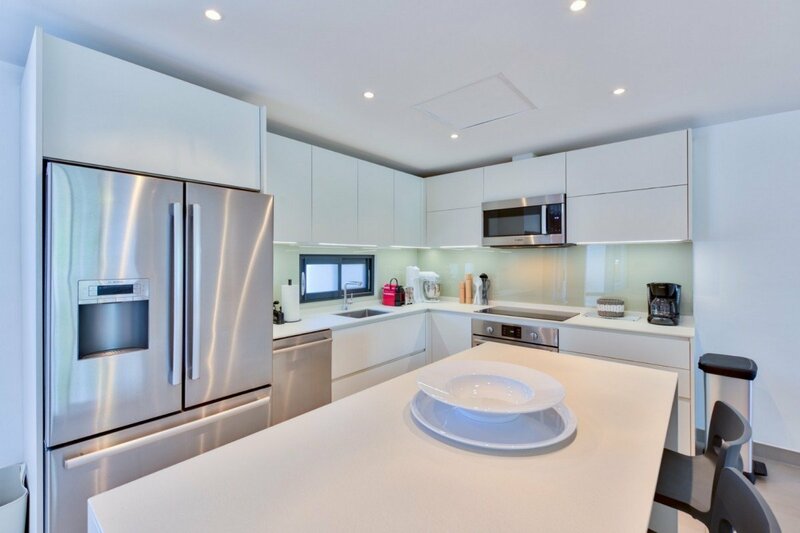 With a breakfast bar and the very latest appliances and gear, it will be a great spot to easily make meals, drinks and snacks. 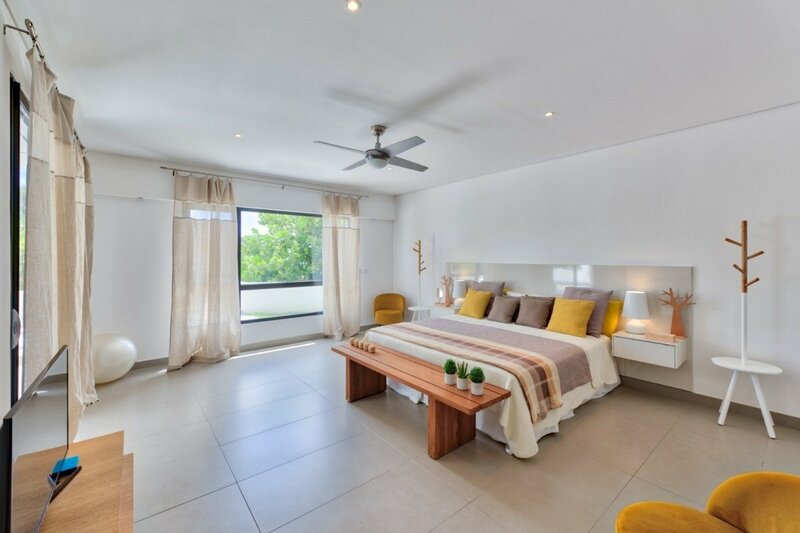 The two bedrooms are also beautifully appointed and include a master suite with king bed, terrace access and a large, private bath. 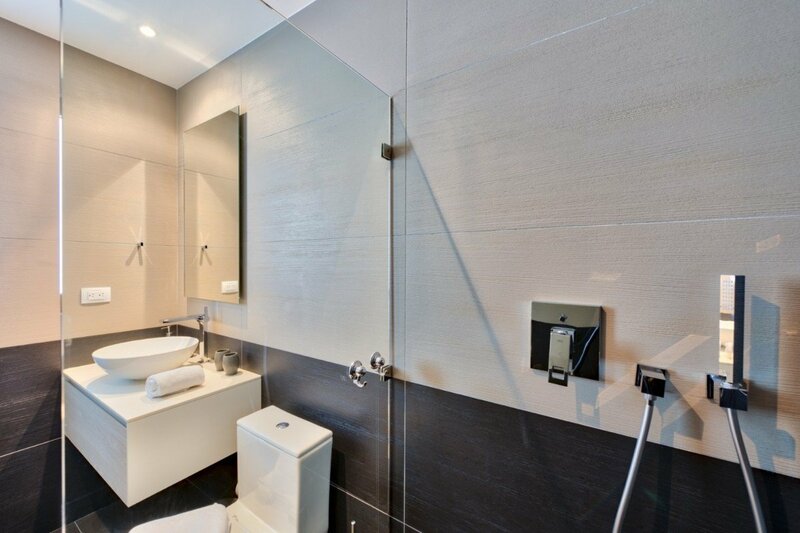 The second bedroom is also a king suite with large bath and great views. The entire property has WiFi and a full-time property manager available. Whether on your own, enjoying a romantic retreat or holidaying with family and friends, you will find that the Villa Coco Fair has it all. 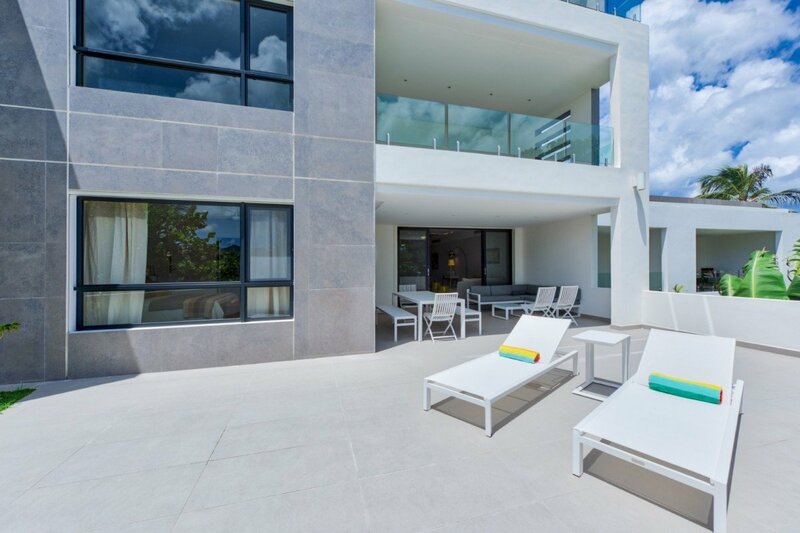 A great location in a great part of the island, steps from the sea but offering a stunning rooftop pool, and private amenities that make it a very stylish home away from home, ensuring the perfect island getaway. 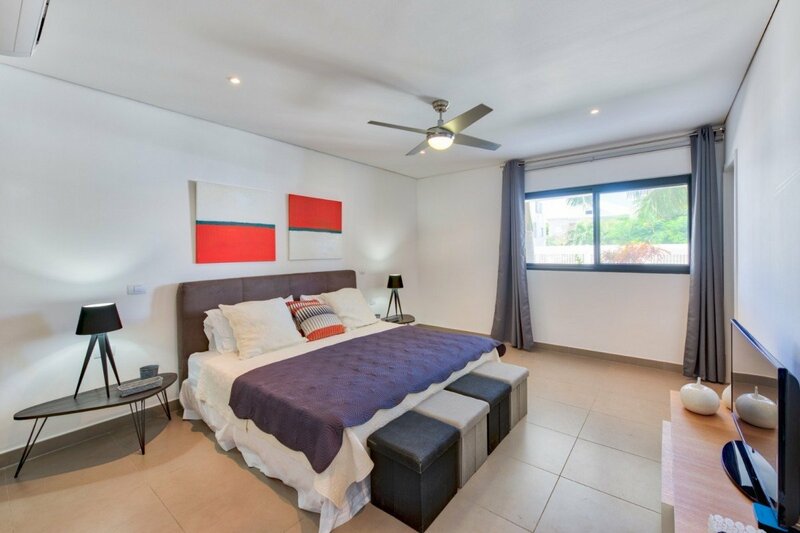 Bedroom 1: Master bedroom with a king-size bed, A/C, ceiling fan, WiFi, TV, safe, access to terrace and en-suite bathroom with shower, double vanity and WC. 2 guests maximum. Bedroom 2: Bedroom with a king-size bed, A/C, ceiling fan, WiFi, TV, safe and en-suite bathroom with shower, vanity and WC. 2 guests maximum. 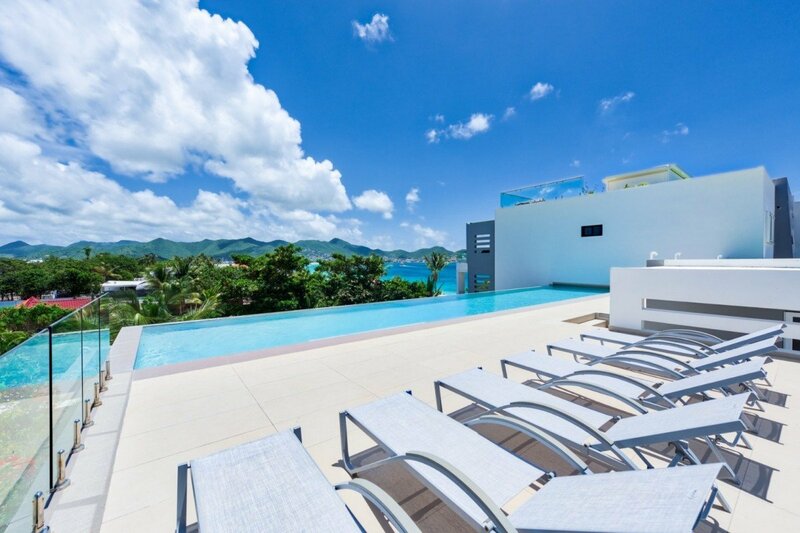 "I've had great experiences with St. Martin Blue. "